6061-T6 aluminum is notorious for not bending easily, yet up in space it goes surrounding the Orion MPCV. Bending 6061-T6 aluminum takes special care. Since NASA’s first attempt in 1961, there have been a total of 166 manned space missions on rockets to date…and there is about to be one more! Each one of these missions requires the efforts of thousands of minds working together with the latest advances in technology and material science available in order to minimize risks for astronauts on board. 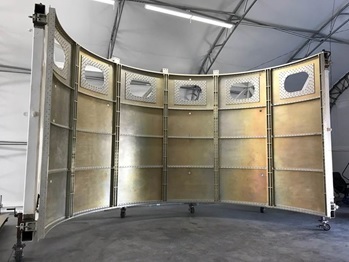 When it comes to bending aluminum, the advancement of aircraft and rocket technology is directly tied to the advancement and production of aluminum alloys. Since the launch of Sputnik a half-century ago, aluminum has been the material of choice for space structures of all types. Chosen for its light weight and ability to withstand the stresses that occur during launch and operation in space, aluminum has been used on the Apollo spacecraft, the Skylab, the Space Shuttles and the International Space Station. Aluminum alloys consistently exceed other metals in such areas as mechanical stability, dampening, thermal management and reduced weight. 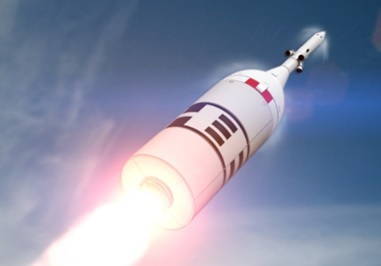 For those reasons, aluminum is the main material used in NASA’s Orion MPCV (multi-purpose vehicle), next-generation space exploration vehicles that CMRP proudly collaborated on. 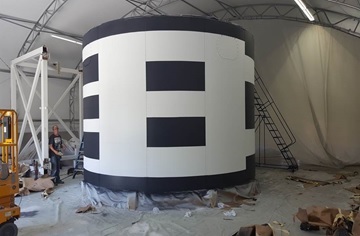 The Aero-shell Project is a critical safety measure consisting basically in a giant spacer that would keep the manned capsule away from the turbines as part of the launch abortion system (LAS). The LAS is a rocket-powered tower on top of the crew module built to very quickly get astronauts safely away from their launch vehicle if there is a problem during ascent. The spacer skin is made out of 36 pcs of Aluminum 6061-T6 plates, waterjet cut and rolled to fit around the rocket’s body. The plates are .25 inches thick and 137 inches long and these were curved using a plate roll machine. 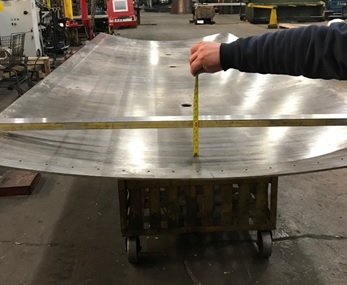 Requirements for bending the Aluminum 6061-T6 included making sure the curvature was uniform along the plate to minimize field adjustments and ensure the assembly process to run smoothly.